Thirty-eight states require their attorneys to attend some sort of continuing legal education programs to remain in good standing in the bars of those states. It may be difficult to fit a traditional continuing legal education course into a typical attorney’s busy schedule, but technology makes attending these courses easier. CLE providers have opened up to a variety of options in course delivery, with credit able to be earned over the phone, via satellite, and even online. Since not all states allow credit for online CLE delivery, attorneys should consult their individual state requirements to determine if an online format is acceptable in a given state. The ABA provides a summary of individual state CLE requirements at http://www.abanet.org/cle/mcleview.html, and CLE Casino (http://www.emplawyernet.com/cle/reqs.html) identifies which states allow credit for online CLE. Can you earn CLE credit for surfing the Web? The Practising Law Institute says yes! On its Web site, PLI has developed a variety of CLE courses that are available for credit in sixteen different states. The courses are self paced and a busy attorney can access them at her convenience. PLI also offers audio and video courses, as well as traditional CLE courses, and information about all of these can be found in its Web site. As PLI notes on its Web site, not all states that require CLE have approved online CLE programs, and those that have approved them may limit the number of credits that can be earned in this format. The following states have approved PLI’s continuing legal education through internet delivery: Arizona, California, Colorado, Florida, Kentucky, Missouri, Montana, Nevada, New Hampshire, New Mexico, New York, Tennessee, Texas, Vermont, Virginia, Washington, West Virginia. CLE Online.com offers many online CLE courses in a wide variety of topics. 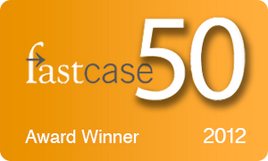 At this award winning site, attorneys can satisfy their state CLE requirements at any time in course subjects ranging from ethics to wills and trusts to litigation. LegalSeminars.com is another online CLE provider with a wide variety of programs. Students can participate in programs at specified times, during which discussion takes place on bulletin boards at any time of the day or night. Additionally, students can access archived programs at their own convenience. LegalSeminars.com has received accreditation for its online seminars in the following twenty states: Arizona, California, Colorado, Connecticut, Florida, Kentucky, Missouri, Montana (if attorney, rather than provider, applies for credit), Nevada, New Hampshire, New Mexico, New York, North Dakota, Oregon, Tennessee, Texas, Vermont, Washington, West Virginia and Wyoming. An interesting option in online CLE is Transmedia’s The Objection! Game Series. This site offers computer civil and criminal trial simulations, which are approved for CLE credit in Arizona, California, Colorado, Connecticut, Florida, Kentucky, Missouri, Nevada, New Hampshire, New Mexico, North Dakota, Ohio, Oregon, Texas, Tennessee, Vermont, Washington, and West Virginia. Another company offering a variety of online CLE courses is Taecan.com, many of whose courses have been approved for credit in a number of states. FindLaw offers several online continuing legal education courses in an online setting. These courses are self paced, and are available to be taken at the student’s convenience. They are approved for California CLE credit. Anyone with Web access can browse the class content, but in order to earn credit, answers to a number of questions must be submitted to the folks at FindLaw along with payment for the course. The ABA is a nationwide CLE provider, and information can be found on its Web site. 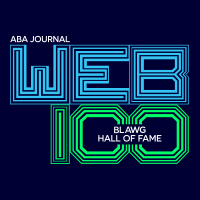 An interesting CLE option, free for ABA members, is the ABA Connection, a series of 60 minutes teleconferences where the programs can be heard over the phone from anywhere. Chat-based question and answer sessions are available online immediately following the teleconferences. Additionally, ABA members can listen to previous teleconferences using real audio on the Web. Emplawyernet’s CLE Casino offers a number of self paced online CLE courses, and a summary of CLE requirements for each state which includes information on whether a state accepts online CLE credit. VersusLaw is another online CLE provider, and free CLE credit can be earned by attorneys in any of 17 approved states who complete its self paced research activity. Many other sites provide access to information about traditional continuing legal education seminars. The Pennsylvania Continuing Legal Education Board has an impressive CLE search page which searches not only for courses located in Pennsylvania, but also nationwide. Simply provide a date range and any other criteria for the class you seek, such as location or subject matter. The PACLE search service returns a list of all CLE courses which meet your criteria, along with phone numbers for more information and number of credit hours per course. Netlawtools Inc.’s Internet Tools for Lawyers provides a national calendar of CLE courses about the Internet. Anyone can e-mail the webmaster to post a program announcement there, regardless of the program’s location, and a simple click provides more information about each program. Additionally, this site provides a number of links to online non-credit tutorials about Internet use in a legal setting. Rominger Legal and FindLaw both provide numerous links to online information about continuing legal education organizations and classes. Rominger Legal’s CLE Directory and CLE Finder will allow a prospective CLE student to locate a course by location, and will provide a place for course providers to advertise their programs. ALI-ABA is a major provider of continuing legal education in the United States. The ALI-ABA Committee on Continuing Professional Education provides extensive online information about its traditional and satellite CLE offerings. Its course calendar appears online, and interested participants can find full course information and register directly online. This site also provides a state-by-state chart of CLE requirements. Another chart lists ALI-ABA’s courses and the number of either ethics or substantive credits that can be earned in each state for each course.